What’s a marauder look like? That’s the question being pondered by Dedham High School officials, who think it’s time for an image makeover. In 2007, Dedham High retired its original Marauder mascot — a caricature of an angry-looking, open-mouthed Native American with crazed eyes — and school teams began showcasing the image of a pirate. The pirate, however, was only a substitute; it was never approved by the administration. Over the summer, the principal, School Committee chairman, and others began to brainstorm ideas for a new symbol that reflects the true spirit of Dedham High. “We are in the process of branding ourselves,” principal Ron McCarthy said. 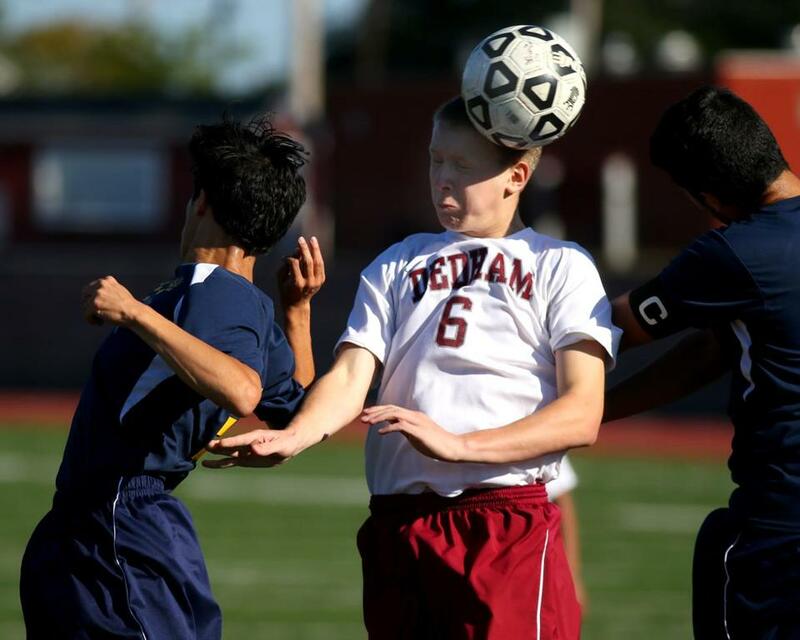 Team mascots regularly stir up heated discussion, and Dedham High is not alone in trying to tweak its image. Watertown High, which dropped the “Red” from Red Raiders in the 1990s, mulled adopting a new mascot last spring, but after a school-sponsored contest sparked a spirited debate, a decision was made to stick with the status quo, with no mascot. Millionaires, Magicians, and Grey Ghosts, Oh my! Behind every high school nickname, and mascot, is a story — whether it is historical, geographical, or performance-inspired. The teams at Barnstable, Lowell, Melrose, and North Quincy high schools continue on as the Red Raiders. The Melrose logo is a block-letter M inside a Native American dream catcher. 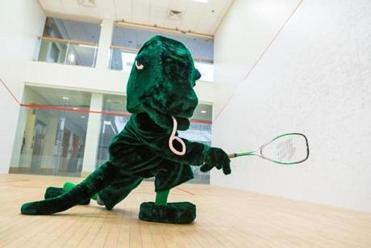 Lowell High teams do not have a mascot. “We’re the Red Raiders in the way that Dartmouth is the Big Green,” said Lowell’s athletic director, Jim DeProfio, who noted that the school has been working on branding itself with its colors (cardinal red and athletic gray) and the letter “L” and “LHS” logos. Roughly 40 high school programs in Massachusetts still use Native American mascots, nicknames, or logos, according to Peter Sanfaçon, founder of the New England Anti-Mascot Coalition. In Walpole, school officials voted to rebrand the high school’s Rebel nickname with a more positive image. (The Confederate flag symbol was eliminated in the 1990s.) The high school’s field hockey program, a perennial state power, has been known as the Porkers since the 1960s. Dedham is weighing a pair of options for its new look: a classic, varsity-style letter “D” with the word “Marauders” stripped across the bottom, or an image of a Colonial drummer and a flaming torch encircled by 13 stars, as a nod to local patriots who participated in the American Revolution. No matter the choice, Dedham High will retain the nickname it has utilized since the 1960s (when it dropped Shiretowners), and the school colors — crimson and gray — will stay intact. On occasion, the old Marauder mascot still reappears — an old decal will show up on a piece of equipment, or McCarthy will field a call from an old-timer requesting to revive the logo. Kyle Fonseca, the school’s senior class president, remembers the original Marauder mascot and understands why it was taken away, while its replacement seems like less of a problem. Students recently acquired a pirate costume to wear at games and during pep rallies, he noted. However, Fonseca said, he understands that branding is important — “You’re known by your name and your image” — and anticipates a lot of discussion on the fate of the pirate. Marauders are not unique to Dedham; the Belmont High Marauders continue to use a pirate mascot. 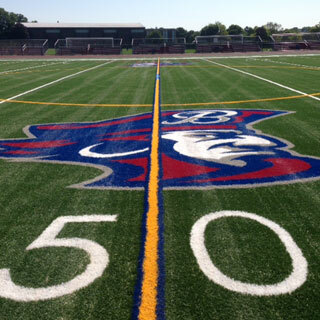 The fierce-looking bearded fellow in a buccaneer’s hat is reminiscent of the New England Patriots logo, and is proudly emblazoned on Belmont’s football field and featured on the school’s website. In 2003, Groton-Dunstable Regional High considered dropping the Crusader mascot in favor of something more politically correct. Students and alumni rallied behind keeping the name. One ardent supporter showed up at the School Committee meeting dressed in a knight costume. In the end, tradition trumped all, the name was preserved, and a potential identity crisis was averted. There still are a number of Indians, Warriors, and Sachems, in addition to the Algonquin Tomahawks, Braintree Wamps, Millis Mohawks, and Tewksbury Redmen (the logo is the head of a Native American in a feathered headdress). Kristen M. Polimeno, chairwoman of the Tewksbury School Committee, said she is not aware of any proposals to change the high school’s Redmen mascot or nickname. The name has been around for a long time, she said, and is part of the local culture. The Red Raider moniker is still prominent at North Quincy High School, and “Yakoo,” modeled on the image of Allan Yacubian , class of 1958, is still the school’s unofficial mascot. A 1985 inductee into the Quincy-North Quincy Football Hall of Fame, Yacubian has been a longtime dentist in the city and supporter of school athletics. But there has been pressure over the years to retire the image. Nine years ago, when Michael Lahiff was hired as athletic director at Watertown High, he was told that the official name was “Raiders.” Nonetheless, many still use the term “Red Raiders,” and a store in town sells T-shirts emblazoned with the same Yakoo character used by North Quincy.